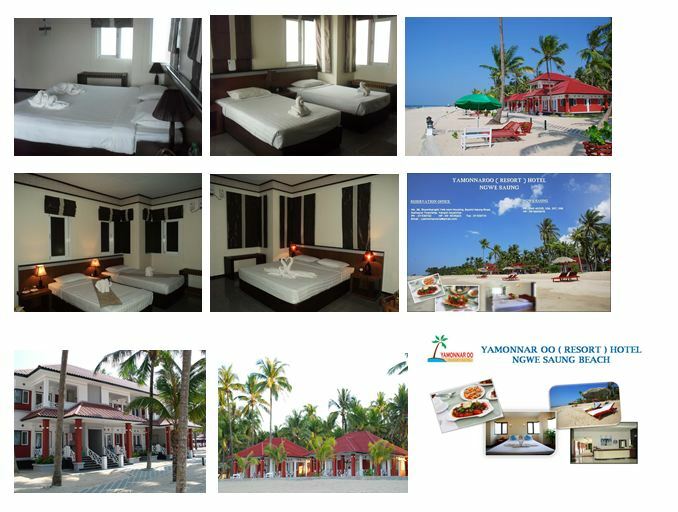 Yamonnar Oo ( Resort ) Hotel is located on Ngwe Saung in Ayeyarwaddy Division. It is approximately 142 miles away from Yangon. The resort comprises of several bungalows at the beach front with a tantalizing view of the ocean and the sound of waves crashing as you experience nature to the fullest.